ItemPAM 7 - Eighth annual report of the committee of the Halifax Young Men's Christian Association: with appendix containing constitution and rules, treasurer's accounts, list of lectures, to march, 1892, etc. 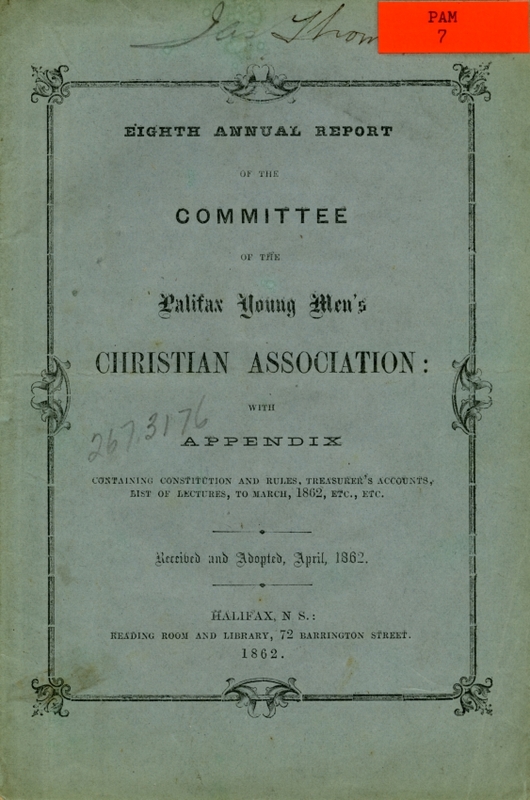 Item PAM 7 - Eighth annual report of the committee of the Halifax Young Men's Christian Association: with appendix containing constitution and rules, treasurer's accounts, list of lectures, to march, 1892, etc. Printed by Reading Rooms and Library, 72 Barrington Street, Halifax N.S. 1 pamphlet : 14 p.